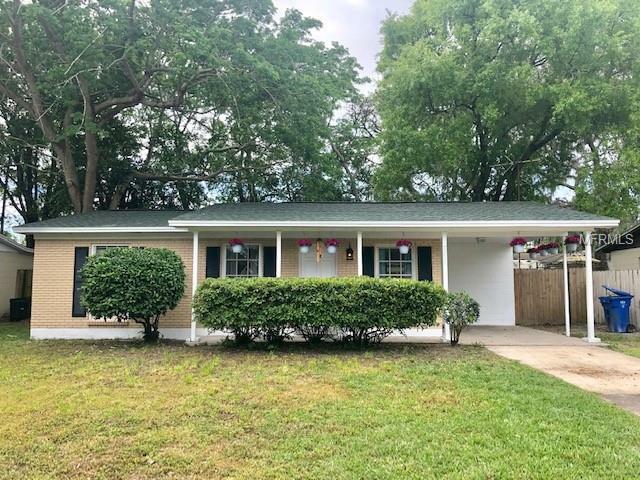 Beautiful and well maintained 3/1 Block home in Temple Terrace! Solid block structure with a BRAND NEW ROOF! Cozy kitchen with eat in breakfast bar. Updated plumbing with new tile in bathroom. 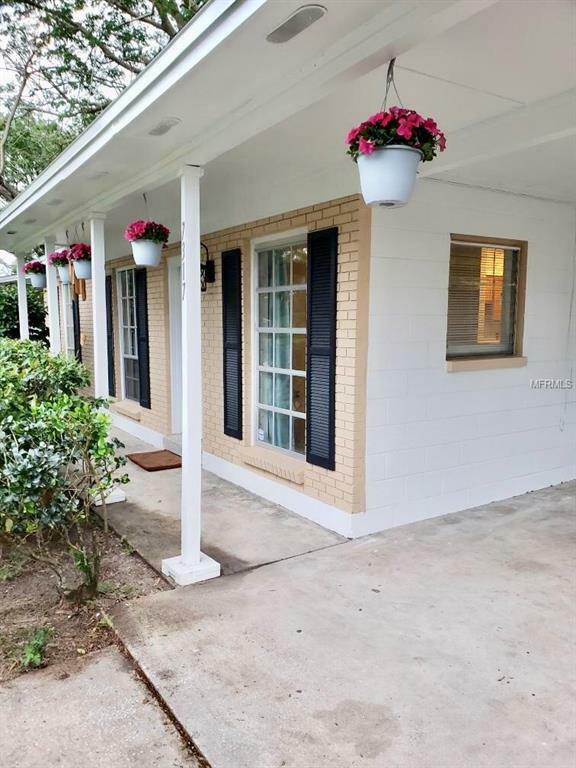 Newer HVAC system, freshly polished terrazzo floors, fresh paint inside and out, and a large fenced in back yard perfect for family gatherings. Censored outdoor lighting. Nice size utility room with washer and dryer included! 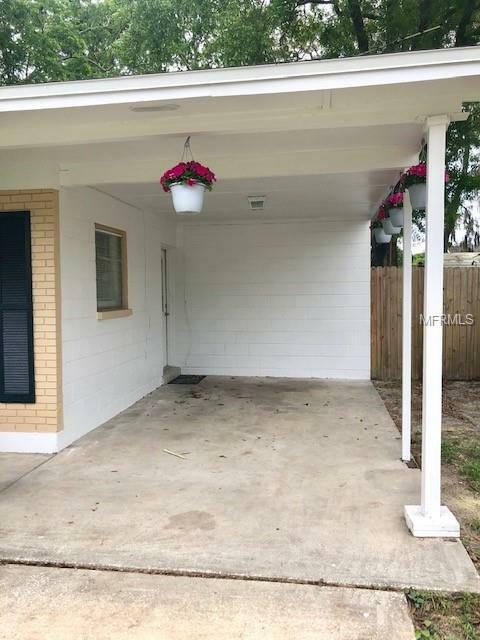 Located on a quiet street where little ones love to come outside and play. 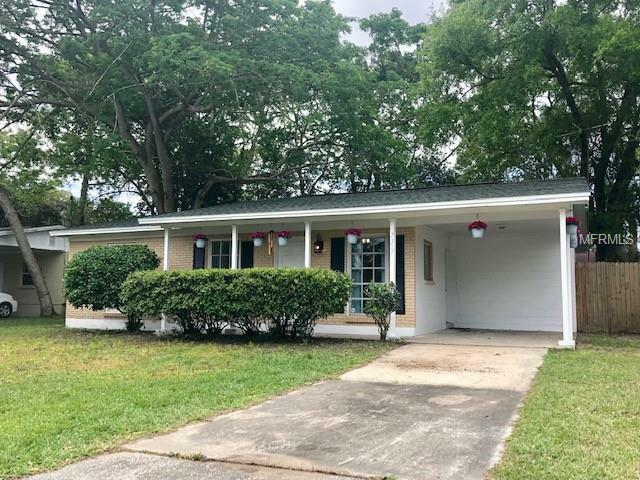 Centrally located near major highways, shopping, nightlife, Busch Gardens, Adventure Island, USF, and Moffit Cancer Center. PROPERTY SOLD "AS IS" WITHOUT REPAIR OR WARRANTY, SELLER HAS NO KNOWLEDGE OF PROPERTY HISTORY, AND NO DISCLOSURES AVAILABLE. BUYER/BUYER'S AGENT IS RESPONSIBLE FOR VERIFYING ALL DETAILS INCLUDING BUT NOT LIMITED TO SQ FT, LOT SIZE, ROOM DIMENSIONS,TAXES, AND HOA IF APPLICABLE. Listing provided courtesy of Realnet Florida Real Estate.